I once heard this quote,’ In life you are either the passenger or the pilot’, and trust me, 2 years ago, today, I was sitting on the passenger side of my life as it was speeding down a dark highway at 200 mph- on ice- and I was not wearing my seat belt- symbolically speaking. To some I was already living the dream– an entrepreneur of an entertainment company, a musician, an artist – the creative arts were my forte– yet, behind those large, fancy, closed doors, I was miserable- and yes, being an actress- performer, I was very well rehearsed in ‘playing a part’ and clothing myself in non -reality. It was simple really – put on another mask, and pretend everything was ok- for, ’tomorrow would be different ‘, I would tell myself each night as I laid down to rest. Truth be told, it did not change – 2 evictions later, a mountain of health issues, and a very sad little girl who had to change her bedroom ever few months- I was depleted, depressed, discouraged, and felt completely out of control. I was losing everything. Everything at the time I had worked my entire like for. My business, my friends, my relationships, my health, my sanity- it was all beginning to disappear into the abyss, and I was surrounded by a very unfamiliar sense of urgency to ‘get it right, or at least try ‘mentality. When my leg began to heal and the scar on my neck began to fade from a tumor being removed, and I could stand on my two feet again- on a literal since, I slowly began to re build my life. I knew that things could not remain the same, if life was to be different. I began to question myself and re think my choices writing down the answers to,’ What do I want’?’ How did I wish to live my life every day?’ What can I teach Juniper, my daughter, that is of true value in this life? I began to truly re-evaluate my life on every level, seeking the answers within. It was one day in the spring, at a stop light, in Calgary, Alberta, that changed my life forever. I always knew I wanted to travel and live a more simple life- experience new places, things, people- It was a very deep conviction I had ever since I was a small child as I would build forts in the woods, or take up shop in my father’s shed pretending I was in a foreign country and living off the land- yet the responsibilities of life, and raising three children, always seemed to distract me enough for another year to go by without moving forward with my dreams of travelling and de -cluttering in more ways than one. Yet by now, as you have come to understand, I had hit my point and, well, rightly so. I had lost most everything- but one thing remained the same- I was going to somehow, someway change the ordinary and live for the extraordinary, regardless of what anyone thought, or felt I should do. Yes, I was excited! I felt an awakening in my soul! I was ready! I was going to do whatever it would take to find the adventure that awaited me and my daughter…! And then- just like that- in the same line of thinking, came the familiar voice of doubt. I call it the how’s. The worst unexpected mind guests to visit any dream or desire about to make its debut. The how family come into your brain, unannounced, take a seat, and begin to point out every single flaw in your plan and trust me, if not uprooted and kicked out quickly, they easily can become squatters in your mental garden. How would you do this? How can you do that? How can you be so silly to think that? How would you explain this to your mother? You’re going to take your daughter out of school and do what? Then what! I want to travel and start over- live a simpler life – yet have a home for the family… but how? I would say. How was this all going to happen? How could I afford this lifestyle? How would I work and make money? Oh gosh, and what about the……Yes…. the What’s! – the neighbors of the How’s- and no they DO NOT get a cup of tea when they come for a visit! Then the answer I was searching for appeared! At the same stop light I was sitting at… right beside me… how did I not notice this before? I said to myself in a very excited voice as I stared out the window of my mini cooper…the big yellow school bus full of smiling children caught my attention and THAT is how it all started for me. A Bus! I screamed to myself! A bus! Yes! That’s it! A school bus! I am going to live in a school bus! The Hammondoday – which was my sons first word when he was a baby as he excitedly pointed at a VW van (and no, to this day I cannot explain why) was purchased May 2017. 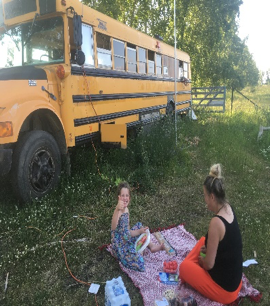 The bus is a 1999, Thomas International, T44E – 3800 series, diesel engine- which I found on Kijji, Alberta after a few weeks of google searches for old school buses. 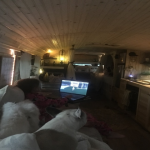 Yes, I had considered purchasing an RV or motorhome in the past, and even checked into other alternative means of travel and living off grid- but the bus to me, was the perfect solution to all my questions and concerns. I made the two- hour trip outside of the Calgary area to view the bus, and to me it was worth every single second. The sound of the engine, the smell of the exhaust, and the 220 square feet of potential made my heart pound in a way it had not done in a very long time. I felt alive! I felt a purpose! I felt like this was my new home! I felt proud……very proud. The owner of the bus, an expert in his own right at converting old buses, and vans, took the time to show me in ins and outs of his work completed on the bus, and also took the time to give me a few personal warnings- one being, ‘This will test you girl, and you have to be strong’ and with that final word, and a signature, it was a done deal and I was now an official bus owner! At this point I had convinced Chad, my daughters father to help with the project. We were separated at the time, and of -course he thought I was a mad -women when I first presented the idea. ‘Live on a school bus,’ he said, ‘What about our daughter’? He was now conformed to society and its standards, I’d like to say- working two full time jobs from morning to night- building his empire, also in the entertainment industry. 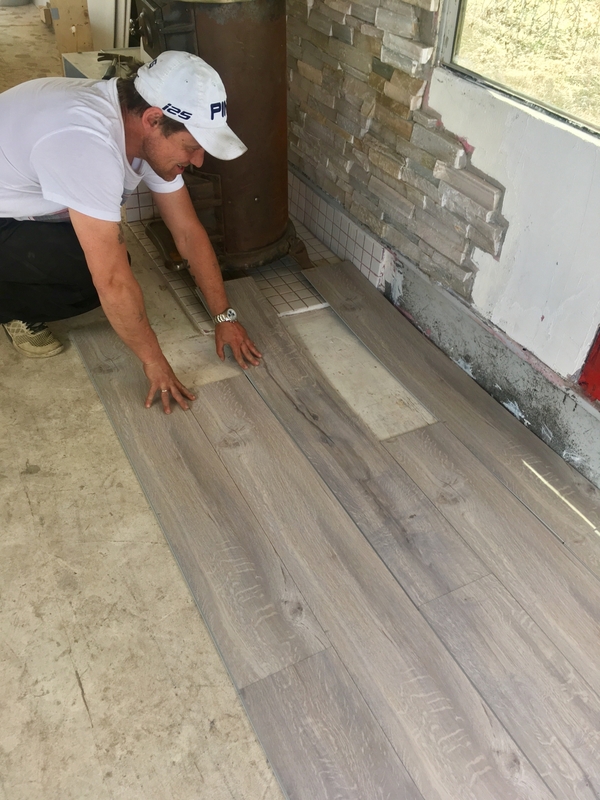 He was defiantly against this lifestyle or way of being in the beginning – or so he felt– until I continued to move forward with my plans, and over- time as things began to progress and come together. He always talked of travel- but walking away from everything he had built, also made him very fearful, of well, my decision. I can admit- I did not think the build would be a challenge when it was first purchased. The bus sat at 65 percent converted, so how hard could it truly be right? Boy was I wrong! 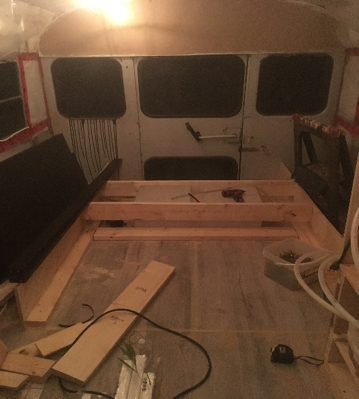 If you are novice, like I was, one very important thing that you must take into consideration on your bus build is- Does the design and floor plan work for YOU? Your needs? Your family’s needs? 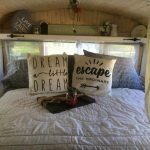 If the answer is no, and you are thinking of purchasing a pre – converted bus, be prepared to start over and make it your own- like we did. With that, we hit the drawing board and the began the design. 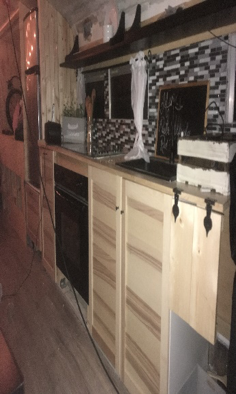 I was the visionary, Chad was the contractor. Together we had a challenge before us, and we were ready…well most days anyhow. Mind you, there are other first’s that can be added to this list of challenges. As an example; the storage or where you keep the bus and the build itself. For us, we cannot name the owner or the location of the storage lot we were on as he asked for his name to be left out of any form of future publication- but I can share this with you- There are people out there who believe in this lifestyle, and usually they are willing to help if you ask. The worse they can say is no. The second challenge for me was the finical aspect of the build. 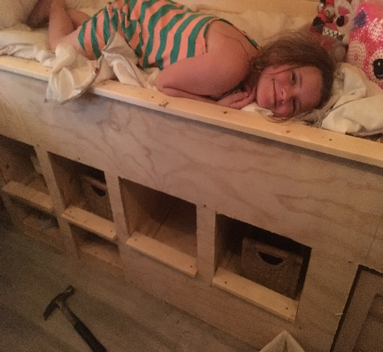 I wanted to build a tiny home, with a rustic theme, and though any place you choose to lay your head can be considered a home- for my daughter’s sake the necessities were a must before we hit the road. This meant, Plumbing, electrical, living spaces, food storage, meal preparation area, heat, bed, entertainment etc. Lucky for me, I was completing a 17 -year divorce (ok reality- a 17-year divorce is no a lucky break by any means- but the timing of selling the matrimonial home in this case was. I could move forward with the build with a little less pressure than previously thought). Yes, I have grown as a person, yes, I have hit my hand with a hammer, and yes, I have spilled a few buckets of paint that have accidently landed on our dog’s head but- I have also learned its ok for things not to be perfect or exact. Its ok to walk away for a while and then start again. It’s ok to change your plans more than twice if you need to- and its ok to remind yourself that you are creating a home, a dream, a way of life. You have a vision and it is becoming a reality. And yes, there may be those who oppose this lifestyle, but reality is, you will find those types of thinkers anywhere. What kept me going during those times of Nay Sayers was the understanding that we were choosing a lifestyle. A lifestyle where we could choose how and where to live our everyday- but for me- even more – I was back in the driver’s seat of life, and no one could stand in my way of that! I was now going 200 mph- ok….35mph uphill – I am in a school bus after all- but its great! Life is meant to be enjoyed and savored, right? So as of now- today -we have been living on the Hammondododay since July 1 2017- and though we have had many ups and downs, and a few unexpected mishaps- like a widow falling out of its frame late one evening while travelling through Manitoba or a lost pet which devastated the family, or even some small mechanical issues that were easily taken care of thank goodness- We have travelled from Tofino ,British Columbia to Halifax ,Nova Scotia Canada, with plans to cross over into the US, and other destinations. We have re connected with lost family members along the way, swam in the Pacific and the Atlantic Oceans, Captured the essence of the northern lights as they seemed to follow us up the mountains, boon docked in the forest on very dark country roads, and ate our breakfast while geese flew over -head. We have met amazing people on the roads of Canada. Some in their 70’s living the dream for 35 years, and some in their 20’s just starting out- but regardless of age, or experience, what they bring to the table is GOLD. By taking the time to share stories and adventures we have been given maps, food, advice, hidden secret spots away from the typical travelers, and contacts to other people who can assist us while on the road if need be- but the BEST and most rewarding part for us is- we have developed friendships with these nomads and adventurous souls. Friendships that we feel will last a lifetime, and why? – because your time together is brief, and there is only time for appreciation and gratitude. Again- this is just my experience of life on the road in a school bus and travelling the world but I have been taken notes along the way to share with all of you. I have created a,’ TO DO list’, a’ RE- DO list and a ‘I CAN DO THAT’ list. 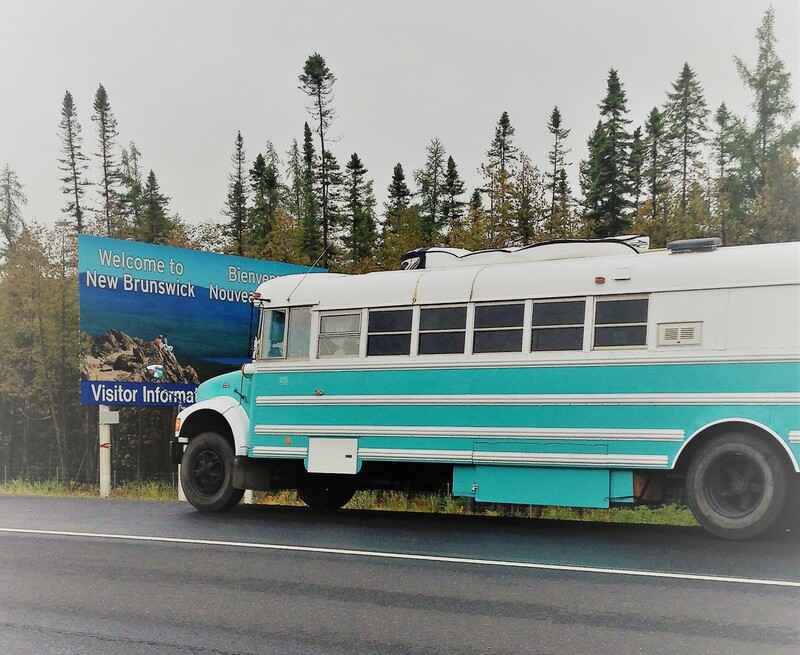 Some of my notes from these journal entries consist of ‘travelling can be very taxing on the body’- regardless- but when you are in a 39 -foot bus, deigned to bounce, rock, shake……seating on the bus which is comfortable is a must! Think about where you wish to be seated when travelling. Boon docking is one thing- hitting the road is another. Also, check local areas for their rules and regulations regarding traveling with children in car seats and seat belts. Think of your power source- solar, battery, invertor, generator, plug in etc. Nothing like wanting to cook a pot of spaghetti and not having enough power to even make Mr. noodles! 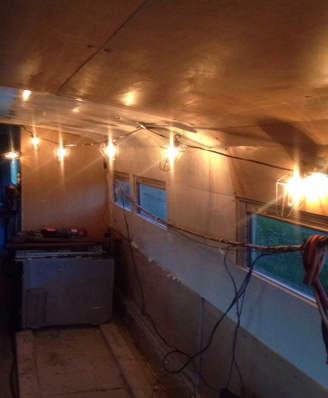 For us, we have both AC and DC hook ups- we ride with 8 batteries, a 3000 invertor, and solar panels. We do tend to upgrade a few of our systems, but this will be saved for another blog I am sure. Yes, there will be a million questions and of course a million ways to answer them, but ultimately you are the creator of your home and the visionary of your dreams. Like a pot of stew, it all boils down to the way you wish to live, and experience your life- season it whichever way you wish and enjoy what you create! 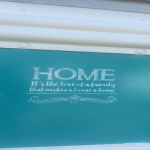 For more pictures of my bus or to follow to our adventure please feel free to check out my page on Facebook – Juni Jube Jube on the Hammondododay– until then Happy Building!